Once upon a time there was a caterpillar. All the other bugs picked on her because she wasn't big, and kind of funny looking to them. Then one day the caterpillar turned into something strange. It was a cocoon. After a few days she emerged like a princess out of her castle. The other bugs felt bad now because her beautiful wings stretched out. They all felt jealous of her monarch wings and just let her do her thing. 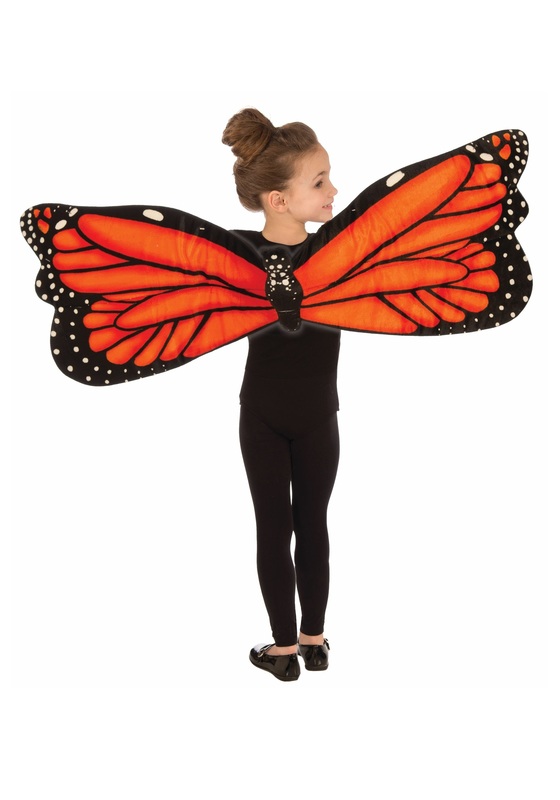 Now your child can be just like a butterfly in the Butterfly Plush Wings. The 100 percent polyester butterfly wings are soft to the touch. The wings are stuffed for a 3D look. The wings have shoulder and hand elastic straps to keep them in place.